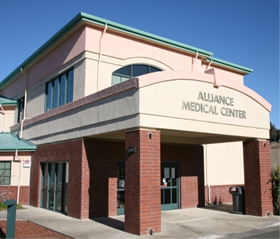 Alliance Medical Center was founded in 1971 by community volunteers who saw a need for a clinic to serve migrant farmworkers and their dependents. In the last 37 years, Alliance has grown steadily and serves all members of the community. The Healdsburg headquarters is a “one-stop healthcare” facility, offering medical care, dental services, diabetes management, pediatrics, immunizations, dermatology, family planning, psychology, behavioral health, chiropractic, podiatry, and more. The Windsor facility is expanding each month. Alliance Medical Center is a true safety net for Northern Sonoma County, providing affordable healthcare to the community. Many of Alliance’s patients would be using hospital emergency rooms for their healthcare if it were not for Alliance’s efficient and affordable system. Alliance is a registered nonprofit organization and continues to be accountable to the communities it serves.